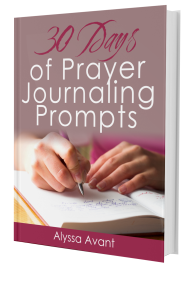 I’m thrilled to have found so many other avid prayer journalers to share their stories with you as we take these 30 days to help you become an avid prayer journaler in this 30 Days of Prayer Journaling Prompts Series. Today is Day 16 in this series and you can find a summary of all the posts here. Today I would like to introduce you to prayer journaler, Ally King. 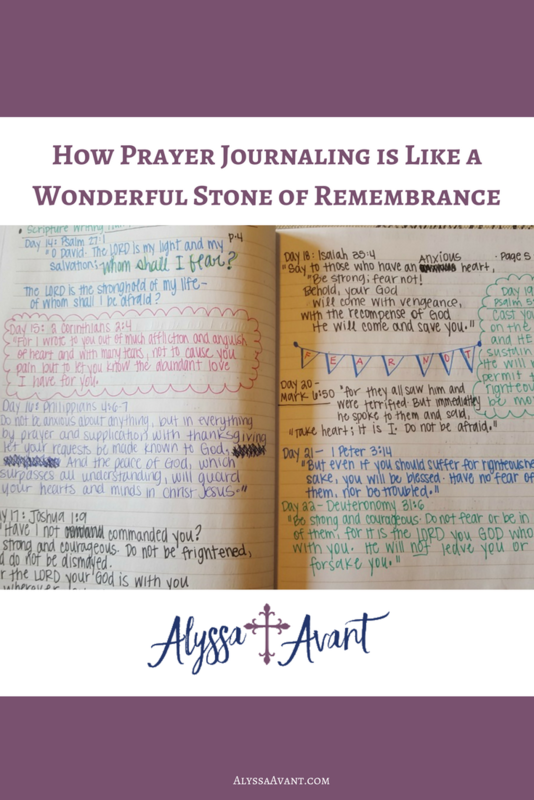 Ally shares with us how she thinks prayer journaling is like a wonderful stone of remembrance that we learn about in Scripture. Ally blogs at The Modern Mary. 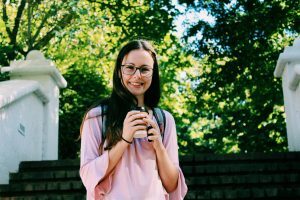 She loves to read, write, pray, study the Bible, doodle, and watch TV—sometimes all at the same time! 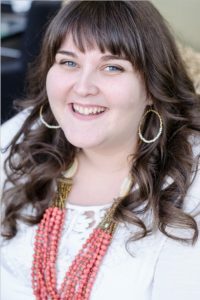 She has a passion for helping and encouraging other women to find their identity in Christ through focused prayer and prayer journaling. Ally is on a journey to be more like Mary and less like Martha—to keep life simple! 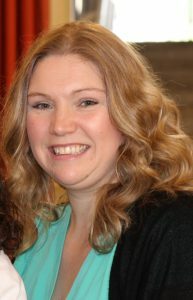 She stays busy by leading Bible study, blogging, and driving her 3 young sons to baseball practice. Ally has been married to her husband, Ryan, for 14 years and they currently reside in Central Indiana. I began using a prayer journal before I even knew what it was called. As a teenager, before I came to know the Lord, I would spend all of my free time writing in my journal–pouring my thoughts, feelings, and worries onto the pages. I received healing and resolution that can only be attributed to the Lord. I fully believe that is how Christ came to meet me right where I was at the time. 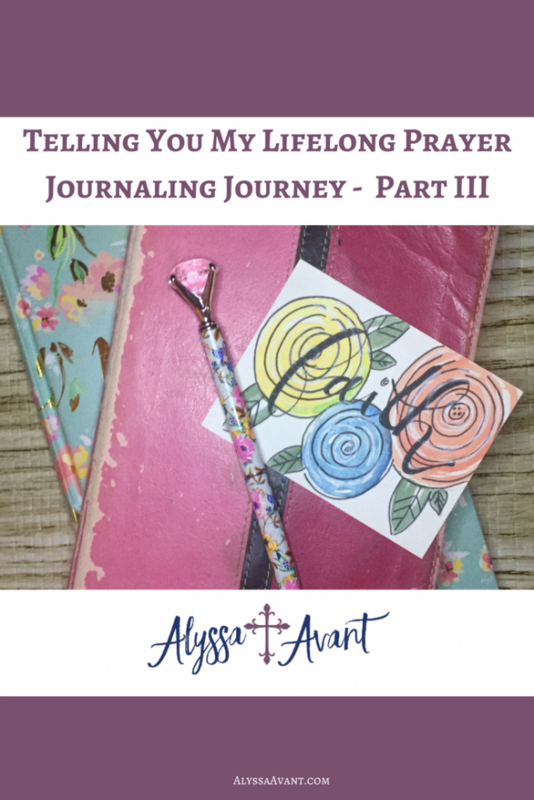 How long have you been prayer journaling? Close to 20 years–oh my, that makes me feel OLD! My favorite thing about keeping a prayer journal is how I now have a written record of God’s miracles and mercies in my life. In the book of Joshua, the Israelites were instructed to take stones and build a monument in the place where God performed a miracle–as a memorial to God’s faithfulness. Every time the people saw the stones, they would be reminded of the glory and goodness of God. This is how I view my prayer journal–like a stone of remembrance. Keep it simple!! 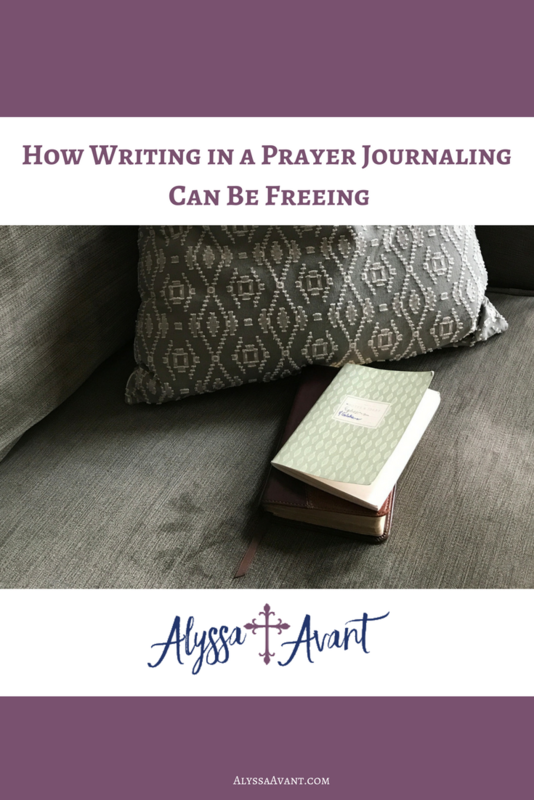 With all of the adorable printables and journals out there, it is tempting to over-complicate the process of prayer journaling. But I’m telling you this--just write. My favorite verse about prayer journaling is Psalm 102:18 that says, “Let this be recorded for future generations so that a people not yet born will praise the Lord.” Pour your heart out and allow the Lord to use your words for His glory. Today’s Prayer Journaling Prompt: Write about your favorite place. What makes this place special to you and how do you feel when you are in this place? It’s time for another day of the 30 Days of Prayer Journaling Prompts Series. Today is Day 14 of this series. You can find a summary of all the days in this series here. We are going to be hearing the stories of two more journalers today, Hannah and Myriah. Just like the last two days, I am asking them questions about their prayer journaling journey to encourage you on yours. 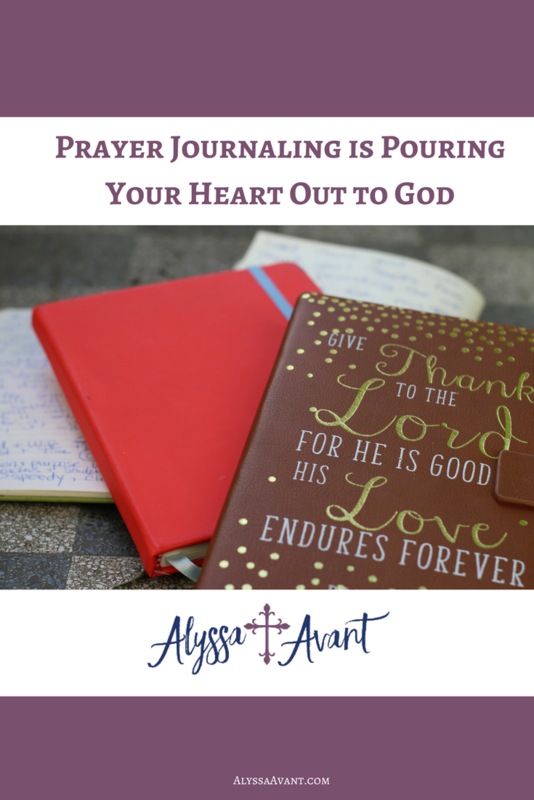 They share how prayer journaling is pouring your heart out to God. First, we will hear from Hannah. . .
February 2017 which means I’ve been journaling just over a year. Being able to process my thoughts and give them over to God. Just start where you are at, it doesn’t have to be a perfect process. Start in the messy hard parts and talk with your friend, Jesus. Next, I want to let Myriah introduce herself. . . When we were in the thick of suffering through infertility and beginning to walk the road to adoption. I love that passage in Joshua 4 when the Israelites took stones out of the Jordan river and set them up on the bank of the river as a memorial of what God had done for them. I love my prayer journal, or should I say journals because I have filled several by now, because they are like stones from the Jordan for me. I love to look back through them and see things I had poured out on the page to God and then think about how He has been faithful and done so much in the way of answering these prayers! Your journal doesn’t have to be fancy, your wording doesn’t have to be formal, you can use pencil or pen or even markers if you want…the important thing is to just write, pour out your heart to the Lord. Write to Him in conversation form, make lists, write names of people, write words, read your Bible when you are journaling and praying and write scripture in the journal. Then the most important advice I have is to go back and read your prayers after a month’s time and see how God has answered them. THANK HIM! Write your thankfulness!! Today, write about how it feels to lose. Write out a time when you lost. How did it feel? This is Day 13 of the 30 Days of Prayer Journaling Prompts Series. As promised yesterday I am sharing other people’s prayer journaling stories. Today I would like to introduce you to a couple more prayer journalers, Susan Nelson and Allison Marie. 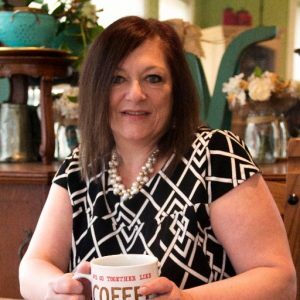 Hi, I’m Sue Nelson and I am passionate about helping Christian women live a Proverbs 31 life in today’s world. When I learned to view my husband and home as my ministry and how to manage my home using the Bible as my road map and years of study, trial and error as my compass, I was happier, more successful and my home was dramatically improved. God has laid it on my heart to serve women to grow in Christ, improve their marriages and manage their homes stress-free. I provide tools and resources for the Christian woman to grow in their faith, deepen their relationship with their husbands and manage their home. I’m married to the most wonderful and loved man in the world and am a mom to 4, grandmom to 4. My 3 dogs, 5 cats, and 20 something chickens round out our crew in North Central Missouri. Just like with Kristin yesterday I asked Susan some questions about her prayer journaling journey. 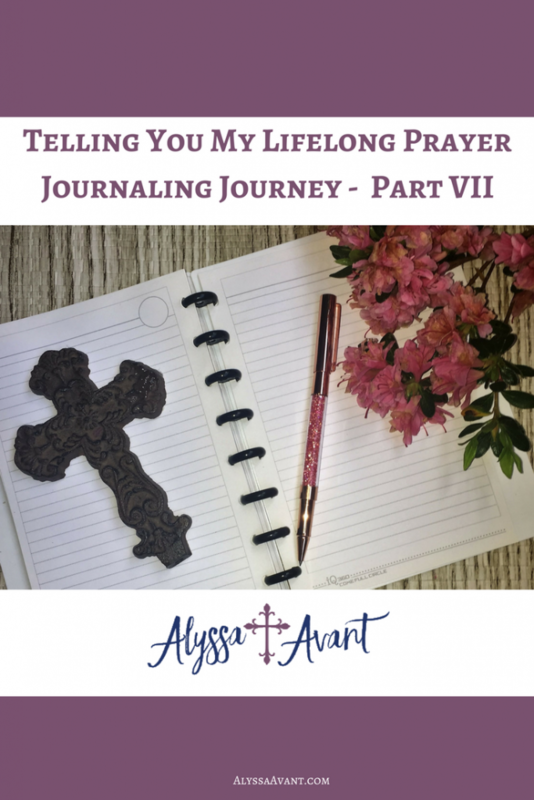 When did you begin prayer journaling? On and off for years but consistently for 3 years. Looking back and seeing how God has answered prayer. Just write from your heart as you were writing to a friend. Pour it all out and let God do the rest. Now we will hear from Allison Marie. Hi there! 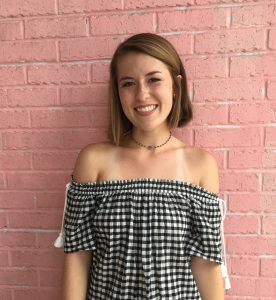 I’m Allison Marie, an 18-year-old Christian blogger with a heart for other girls. I love exploring new towns, trying out new restaurants, hanging out with my friends and family, and studying the Bible. I am on a mission to glorify God with my lifestyle! I started using my prayer journal about 6 months ago. About 6 months ago, I bought a prayer Journal from the Daily Grace Co, and it was a game changer for me! I just love the intimacy I have with Jesus. I feel that the biggest difference between journaling my prayers and actually saying them is my focus. When I journal my prayers, I focus even more which leads to greater intimacy with my Savior. It is such a sweet time! I also love looking back and seeing how faithful God was with circumstances I was facing. Just get started! You don’t have to have the perfect journal or even the perfect time. Show up and just write from your heart. I am grateful that Susan and Allison Marie were willing to share their journeys with us. If you have yet to begin prayer journaling I pray that you will begin doing so. You might want to try my 7 Day Journaling Ecourse to get you started. 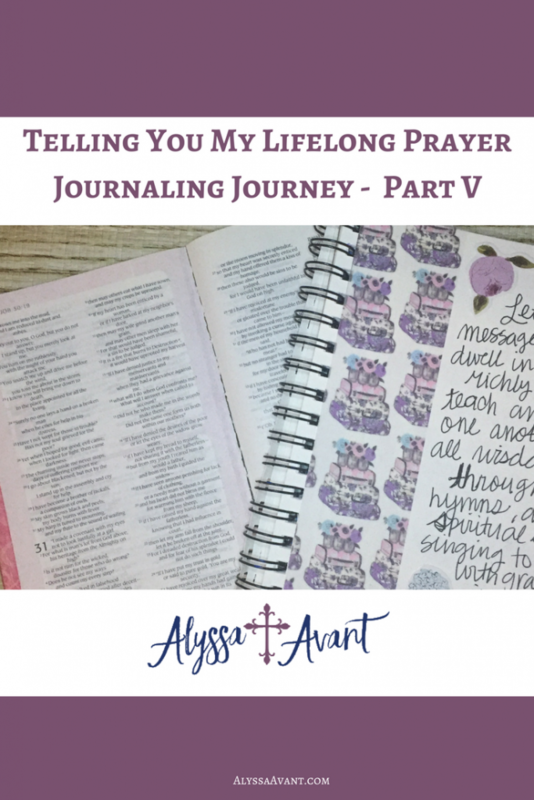 You have been reading the story of my prayer journaling journey for the past few days. Hopefully, I haven’t bored you to tears yet. However, just in case I wanted to share with you the stories of others as well. 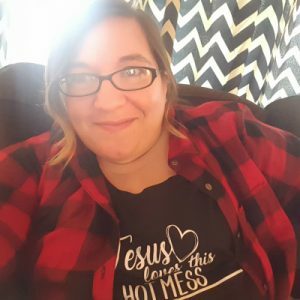 So I connected with other prayer journalers and got them to share their stories. I will be sharing them over the next few days in this 30 Days of Prayer Journaling Prompts series. Today is Day 12 of the series. Remember, you can find Day 1 here or a summary of all the days in this series on this page. I know how powerful that prayer journaling has been in my life, so I was sure that others felt this way as well. Boy was I right! Just as I suspected. Prayer journaling is an important practice for all ages. So today I would like to introduce you to Kristen Barry. Kristen is a second-year political science student at Florida State University. 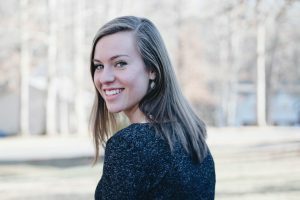 She started her blog at the beginning of college and writes lifestyle, college, and faith content. She also started her own Etsy store, PaintedGracebyKS. She is currently an executive board member of her sorority and hopes to attend law school after graduation. 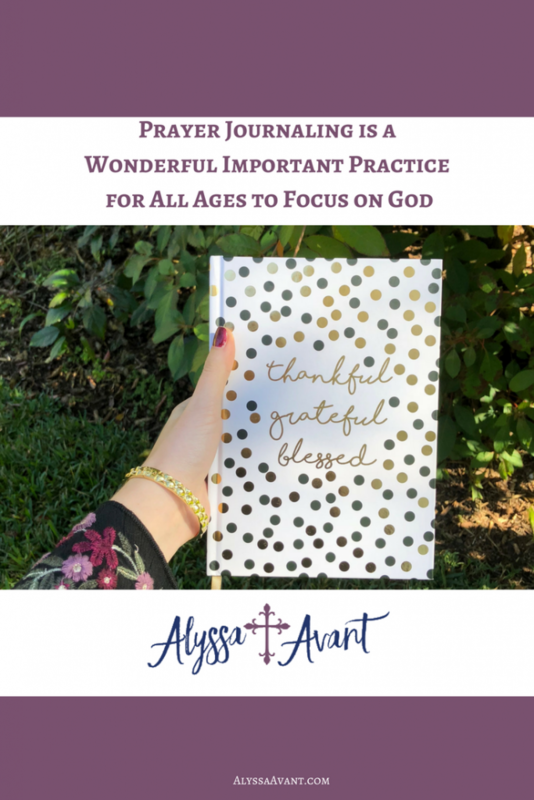 What I was excited about when I learned about Kristen is that she is a young person who enjoys prayer journaling, showing you that this practice is good for all ages. Kristen only began prayer journaling this year as she decided to make it a goal this year. This means she has been prayer journaling for 4 months. 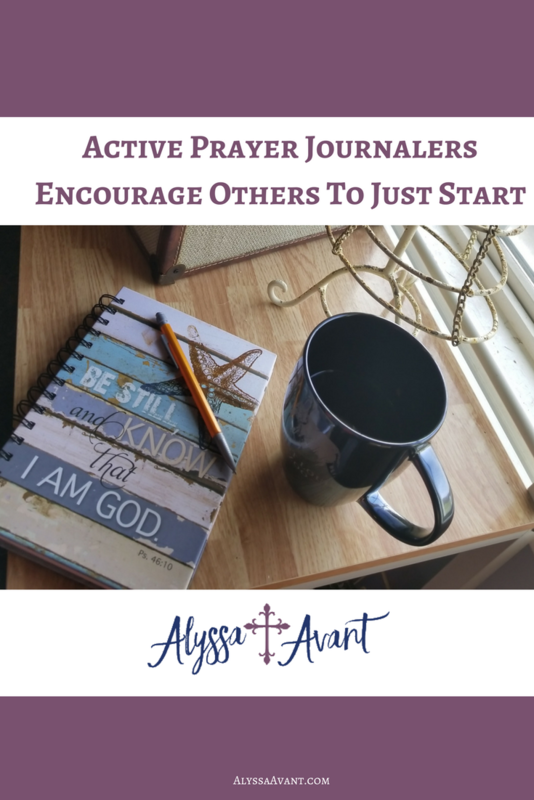 I asked Kristen to share with us what advice she would give someone who is a new prayer journaler or wants to begin the practice of prayer journaling. She replied, ” I would highly recommend pairing prayer journaling with a daily devotional (I love the book ‘Jesus Calling’), be it a book, app, or website. The daily prompt is a good place to start, especially when you don’t know how to begin or open the daily prayer, which was my issue when I started. I’d say just go for it! Write about the things that make you smile. Record your thoughts and feelings about those things here. We are continuing on our 30 days of prayer journaling journey. If you’re just joining us today is Day 10 in a series of 30 days of prayer journaling prompts. You can find Day 1 here and a summary of all 30 days will be here as we go along. I have been sharing my prayer journaling story for the past several days. . . that part of this series started on Day 6. If you want to read my prayer journaling story from the beginning. 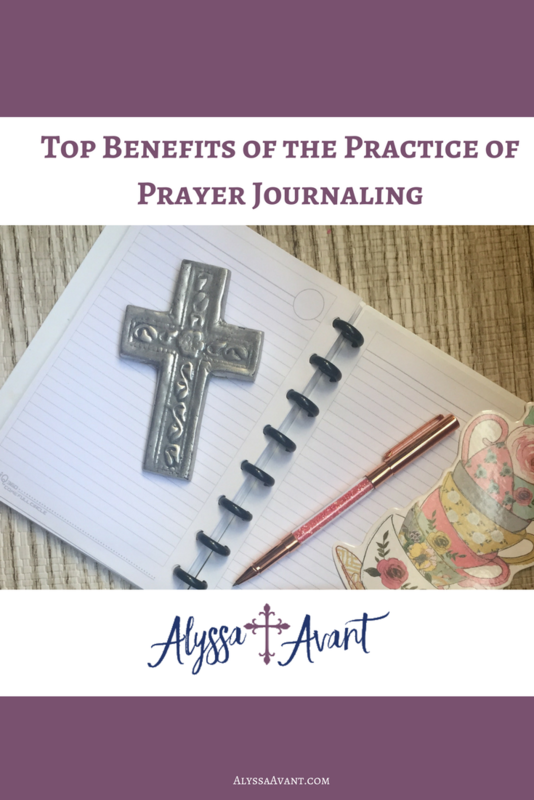 There are also tips on Day 5 when I share my process of prayer journaling. It is inspiring to read prayers written during my teen years and realize they were answered even if it was years later. It is even more encouraging to see how God put together the pieces, helping me to yearn for His plan, rather than seeking my own desires. My own plans began to change as I continually poured out my heart to Him on the pages of a journal. At times my cries were quiet, while other times they were passionately desperate. Then there were times when I would praise Him rather than putting out a list of requests, while some entries read more like a wish list than a conversation with my Savior. If you were to read the pages of my journals you would see the peaks and valleys of my relationship with my Lord. You would witness the growth and maturation of my faith. I remain in awe of how far I’ve come and how much different I am now than I was at the young, naive age of 15. Like most teens, I thought I had it all figured out. But now, like most adults, I know that I have not. I am thankful that I listened to my youth minister and gave God the time He deserved in my life. Today’s Prayer Journaling Prompt: What would you like to change about your life? Journal about these things and then create aplan to make it happen.